Walking distance from center. Room was spacious and clean and staff was friendly and helpful. The hotel was nice, clean, and the room was large. It had a kitchenette. breakfast simple but freshly baked bread were great. Location is excellent. close to restaurants, shops and attractions. Friendly staff. Specially the manager in the morning shift. 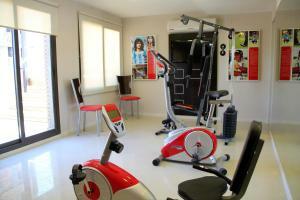 Great location, easy access to supermarket, restaurant, attractions. Breakfast was simple but fresh. Buen desayuno. Tuvimos un inconveniente en el pago, que amablemente fue solucionado. El personal, lo mejor del hotel. Todo como lo esperaba. Buena atencion buena ubicacion y acorde al precio que se paga por él. Todo es impecable en el hotel. Desde su ubicación hasta la atención de todos los componentes de la Consejería, hacen que el Sol de Piedra sea 100% recomendable. La relación precio/servicio es excelente. Lock in a great price for Sol de Piedra Apart, Suites & Spa – rated 8.5 by recent guests! Sol de Piedra Apart, Suites & Spa This rating is a reflection of how the property compares to the industry standard when it comes to price, facilities and services available. It's based on a self-evaluation by the property. Use this rating to help choose your stay! One of our top picks in Córdoba.Featuring a gym and a spa, Sol de Piedra Apart, Suites & Spa is a themed hotel offering rooms with free Wi-Fi and plasma TV. It is located only 2,300 feet from Cordoba’s Cathedral. Breakfast is provided. Decorated in soft hues, rooms at Sol de Piedra are fitted with wooden furnishing. 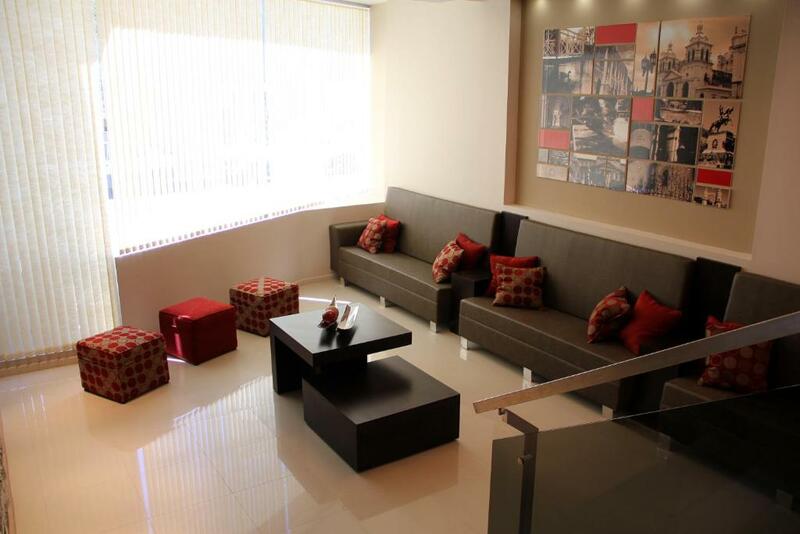 All of them feature seating areas with sofa beds and air conditioning, and private balconies. 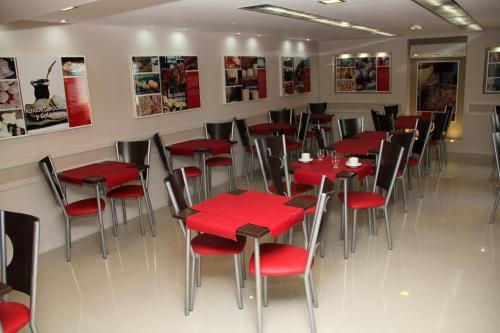 An American breakfast including jams, eggs, natural juices, corn flakes, ham and butter is served daily. Snacks and drinks can be enjoyed at the bar. 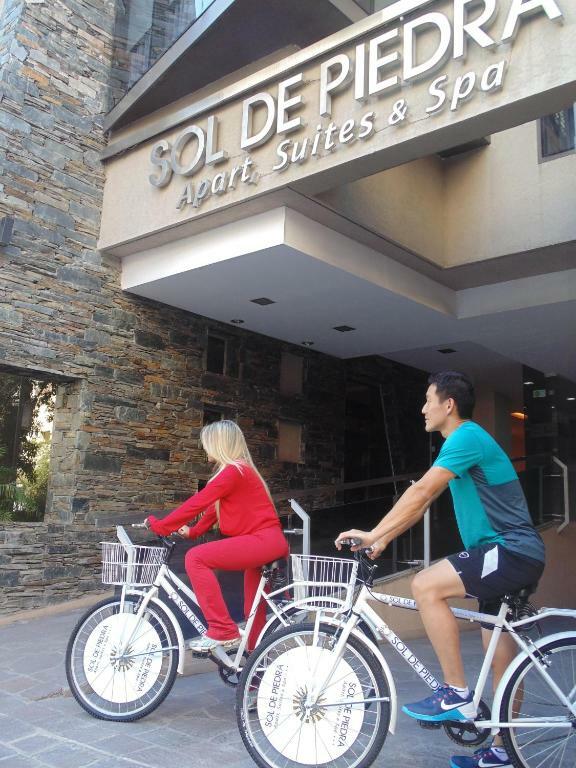 Sol de Piedra provides guests with free bicycles, a helmet and lock, as well as tourist maps to tour the city. Guests can make use of the spa facilities, which include a sauna and Scottish baths. Massage sessions can also be requested. 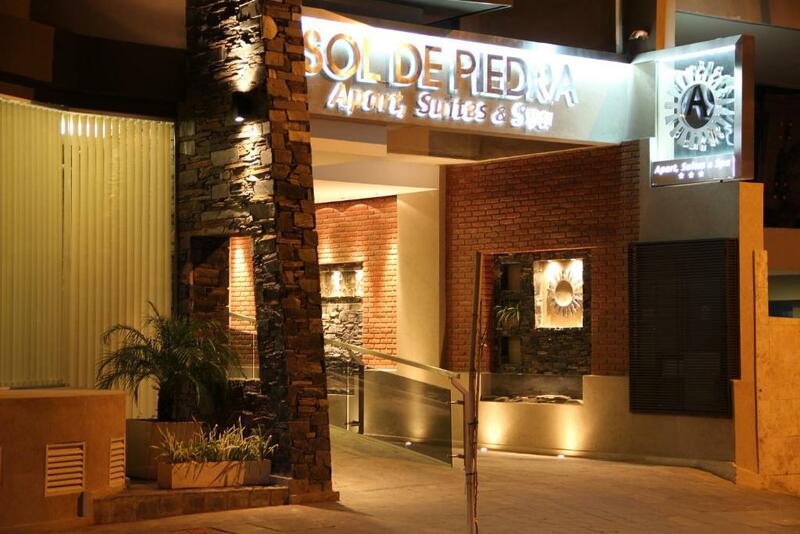 Sol de Piedra Apart, Suites & Spa is 650 feet from Buen Pastor Promenade and from Patio Olmos Shopping Mall. Ingeniero Ambrosio Taravella International Airport is 9.3 mi away. 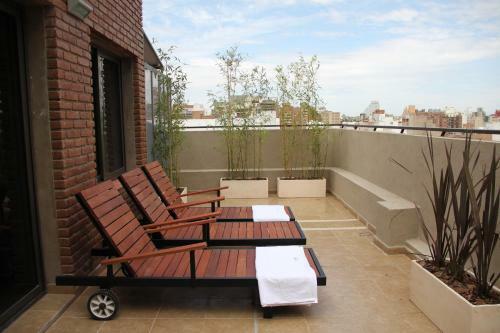 뀐 Located in the top-rated area in Córdoba, this property has an excellent location score of 9.2! 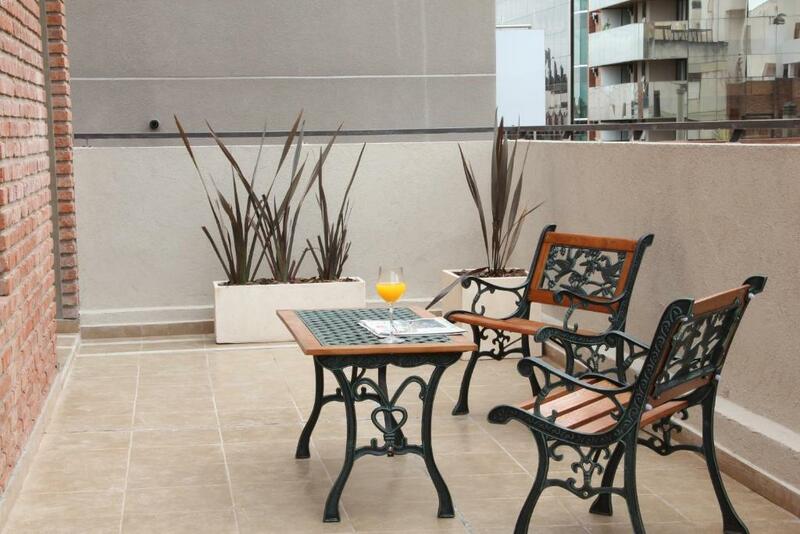 When would you like to stay at Sol de Piedra Apart, Suites & Spa? Features air conditioning, plasma TV, self-catering facilities and private balcony. Private parking is available on site (reservation is needed) and costs USD 11.38 per day. 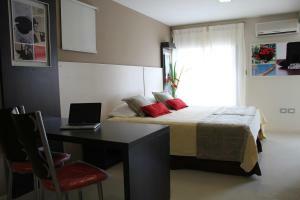 Spacious room featuring air conditioning, plasma TV, self-catering facilities and private balcony. Spacious room featuring spa bath and terrace. 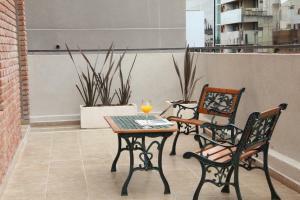 House Rules Sol de Piedra Apart, Suites & Spa takes special requests – add in the next step! Sol de Piedra Apart, Suites &amp; Spa accepts these cards and reserves the right to temporarily hold an amount prior to arrival. Sol de Piedra Apart, Suites & Spa accepts these cards and reserves the right to temporarily hold an amount prior to arrival. Our room was noisy. AC unit made noise. Even when we shut ours off, We could hear motor noise from something else. We were on top floor, had a superior room . Despite that, all else acceptable and good value. Besides we were in Cordoba on an Argentine long weekend and it was hard to find hotel rooms. Very nice staff . Rooms very large. Our room was noisy (we could hear conversations on the street) and the checkin was slow, they asked for a lot of data. Maintenance could be faster and more effective on some minor issues in the room. Parking very narrow and difficult but staff was helpful. Beds were really soft. Parking very narrow, but staff helped parking our car.